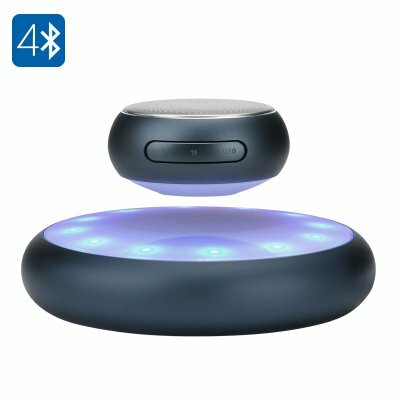 Successfully Added Levitating Bluetooth Speaker – Bluetooth 4.1, 10 Meter Range, 5W Speaker, Built-In Rechargeable Battery (Grey) to your Shopping Cart. Spice up your home or office interior with a gadget that looks like it's straight out of the future. This levitating Bluetooth speaker is a definite eye-catcher and will bounce in the air as it plays your favorite tracks. Just look at it go! This levitating Bluetooth speaker is a loads of fun and will look great on any desk or double as futuristic decoration at any party. Despite the speaker’s fancy looks, it’s really easy to use and you won’t need any complicated magic to get it to levitate. The speaker gently floats over a magnetic base and once you take it off, it can also double as a portable music accessory. The speaker comes with an 800mAh rechargeable battery that guarantees up to 8 hours of non-stop usage time. It comes with a micro USB port and comes with SD card support. So, you can play your music remotely or directly from the speaker. 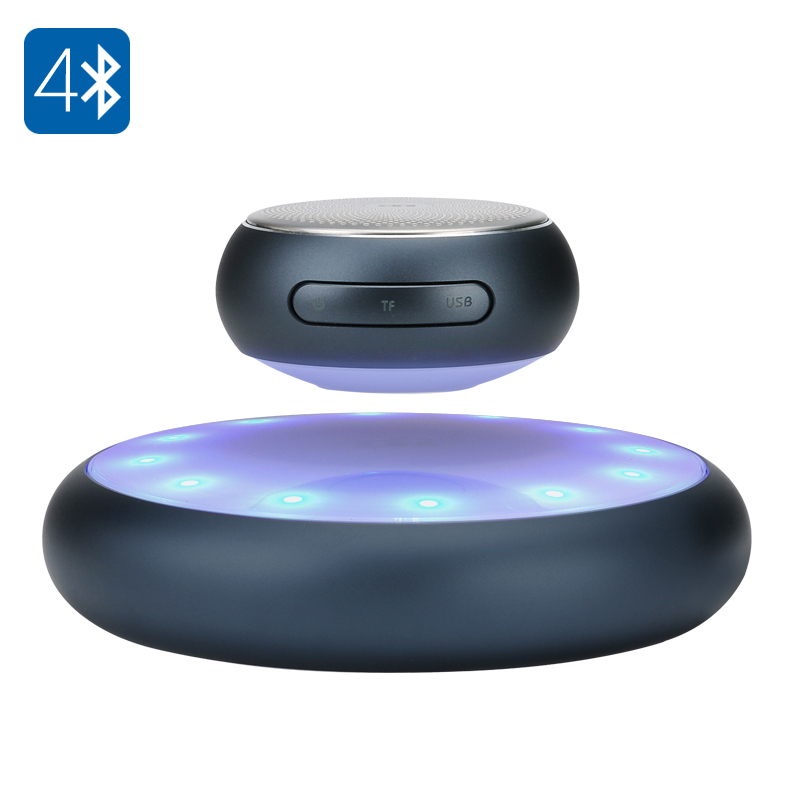 The Levitating Bluetooth Speaker comes with a 12 months warranty, brought to you by the leader in electronic devices as well as wholesale Bluetooth speakers..